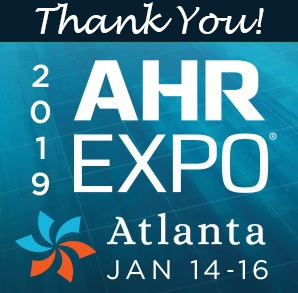 Contemporary Controls enjoyed a successful AHR 2019 in Atlanta. As usual, the show provided the opportunity to visit with existing customers and meet new ones. Our open control concept was very popular at the show, as well as the micro PC series. We started the show at the always enjoyable ControlTrends Awards at Atlanta's historic Fox Theater. For the third consecutive year, Contemporary Controls is the ControlTrends Awards winner for "Best Technical Support Company of the Year — Small Manufacturer". "The award is valued recognition of the hard work and dedication from our support team, led by Diego Mateo," said George Thomas, President of Contemporary Controls. "Our entire team works hard to support our customers not just in their buying decisions, but also in implementation and trouble-shooting in the field. We believe that our customer's success is our success." Thank you so much to our supporters who voted for us in this year's ControlTrends Awards. At AHR Expo, we showcased our BAScontrol Open Control Series which utilizes BACnet/IP as an open communications protocol, Sedona for open visual control programming, and the BAScontrol Toolset for unrestricted use in program development and archiving. Ideal for unitary control of air-handlers (AHUs), fan coils (FCUs), and rooftop units (RTUs), these controllers are freely-programmable and customizable. Our new products leveraging micro PCs were also attention-getters, especially the new BASpi BACnet Client Controller, which turns an already powerful micro PC, Raspberry Pi, into a BACnet client and open Sedona controller. It serves as a mini-supervisor to BACnet/IP server devices over Ethernet or Wi-Fi and BACnet MS/TP devices over EIA-485. Customers interested in secure remote access were interested in our new suite of wired and wireless routers combined with our RemoteVPN. We provide an easy, cost-effective remote access solution that allows you to proactively review and communicate with your customers' automation systems — resulting in valuable time and money savings. Finally, thanks for letting us brag about the BASrouter being BTL Listed for both B-RTR and B-BBMD device profiles. The BASrouter is a trusted fan favorite and many customers were interested in the BASrouter 3.0's new diagnostic capabilities with visual analytics that include an MS/TP status table, routing status table, network error counts, and traffic statistics. The new features allow the integrator to install robust BACnet networks with rapid troubleshooting capabilities that easily identify network issues. Thanks for visiting us at AHR. It was a great show, and we always welcome the opportunity to see our customers. See you at AHR 2020 in Orlando!